The U.N. predicts the Earth will have more than 9.6 billion people by 2050. With resources already scarce, how will we feed them all? 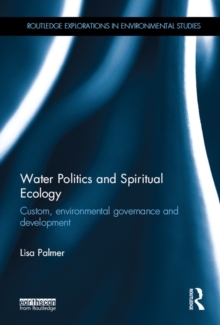 Journalist Lisa Palmer has traveled the world for years, documenting the cutting-edge innovations of people and organisations on the front lines of fighting the food gap. Here, she shares the story of the epic journey to solve the imperfect relationship between two of our planet's greatest challenges: climate change and global hunger. 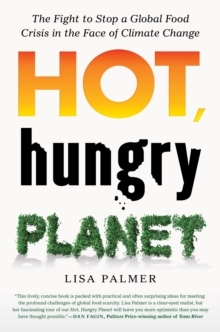 Hot, Hungry Planet focuses on three key concepts that support food security and resilience in a changing world: social, educational, and agricultural advances; land use and technical actions by farmers; and policy nudges that have the greatest potential for reducing adverse environmental impacts of agriculture while providing more food. Through stories of individuals in six key regions - India, sub-Saharan Africa, the United States, Latin America, the Middle East, and Indonesia - she paints a picture of both the world we want to live in and the great leaps it will take to get there.